Reviews Archive - Preferred Metal Products, Inc. 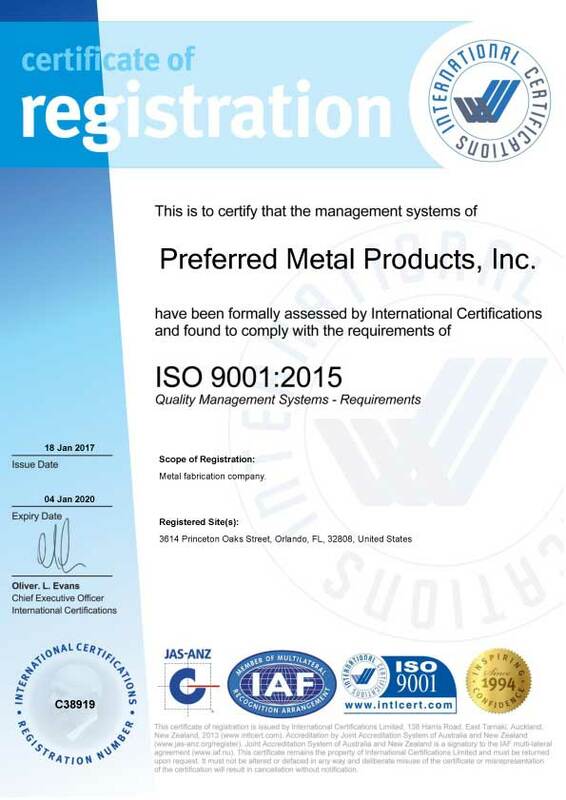 Preferred Metal Products, Inc. did a great job from engineering to the construction of my product, fast shipping with ZERO returns, I will use them again. From quote to delivery every step was handled quickly and professionally. I received my product ahead of scheduled ….